See that. One night with the Benham boys is enough to turn a gay man straight. But not for the reasons that they are stating. 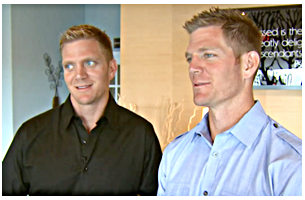 NOTE: In two days the Benham Boys will be holding a hate rally in the city of Charlotte, North Carolina protesting against a proposed LGBT rights ordinance.